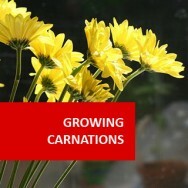 Growing Annuals course online. Become an expert with Herbaceous Annual Flowering Plants. 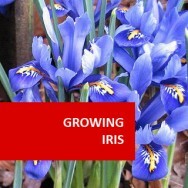 Learn to identify and cultivate annual flowers, for bedding displays, potted colour or cut flowers. 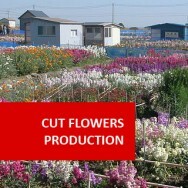 Work in a nursery, garden or cut flower farm. Start a business or indulge a passion. 4 Hydroponic growing of selected varieties of annuals. 8 Harvest, Post Harvest & Quality. 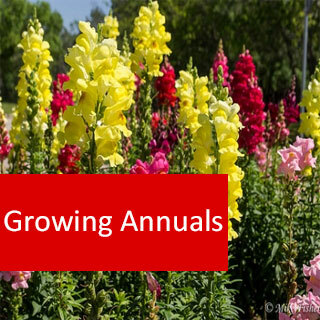 Most annuals are propagated by seeds. However if you are collecting your own seeds you will need to realize that as varieties can interbreed their may be some variation in the resultant seedlings. This variation can range from new colours to a change in the size and form of the plant. Plants reproduce either sexually or asexually. 1. Sexually - from a seed or spore germination. Plants grown this way can have some characteristics from one parent, and different characteristics from the other parent. Sexually propagated plants are rarely exactly the same as the plant which the seed or spores was taken from. Seeds are only found in higher plants (eg. conifers (gymnosperms) and flowering plants (angiosperms). Seed propagation is the way that these higher plants reproduce sexually. 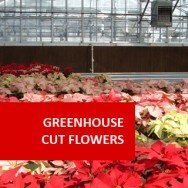 Most flowering annuals, vegetables, biennials and perennials are grown this way. Ferns and some trees and shrubs are also grown sexually. 2. Asexually - from a piece of tissue on an existing plant regenerating into a new plant (eg. division, cuttings, layering, grafting) that has the same characteristics as the parent plant. Most of the following vegetative methods can be used on some annuals, but they are rarely a practical commercial solution to propagate a large quantity of plants. a) Tissue culture - tiny sections of plants are grown in the laboratory. As they grow they can be transplanted to individual containers and eventually into soil containers. This is used to propagate some new hybrids or cultivars in order to build up numbers of plants rapidly; but it is not generally used for routine propagation of most annuals. b) Runners - eg. some violets. c) Layering - laying stem down in ground and allowing roots to form. d). Separation, division, suckers - cutting one plant into several, eg. dahlias, grasses. e). Grafting (rarely used on any annuals – tomatoes are an exception). This involves taking a section of stem from one plant and attaching it to another plant in such a way that the two will grow together. (ie. by attaching a variety which you want to an existing root system you can remove the old top and have a plant comprising the roots of one variety and the top of another). Budding is a form of grafting where only a single bud is grafted. f). 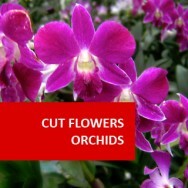 Cuttings - rarely used on annuals, though many will propagate successfully from cuttings. The fact remains that seed propagation is cheaper and easier in most cases. Propagating plants from seeds is called asexual propagation. Seeds however can be variable; in other words they may not always be a replica of the parent plant. The growth habit and colour may vary between plants grown from the same batch of seeds. 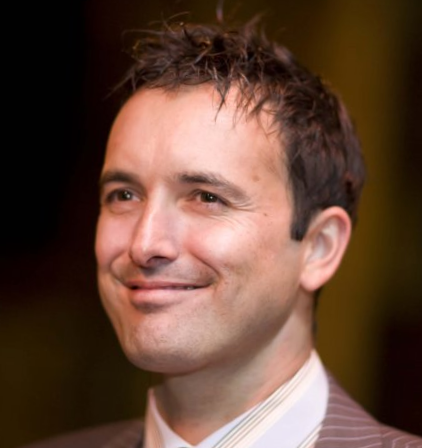 This is brought about by a random combination of genetic material from the parents. The genetic make-up of each seed is unique. Plant breeders cross-pollinate plants that are genetically different deliberately in order to find interesting features this produces new varieties or cultivars. 2. An appropriate temperature - it affects the speed and the percentage of seed that germinate. Certain seeds will germinate in a wide temperature range. Tomatoes, for example, will germinate in temperatures that range from 10°C to 35°C with an optimum of 26°C. Most germination lists or tables specify optimum temperatures. 3. Sometimes light (depending on the species). Given the above, a seed will germinate readily and embryo will develop and the plant will grow. If a seed is not given these requirements or when one is lacking or insufficient the seed will not germinate. The amount of time a seed takes to germinate depends on the species and can vary greatly. Some annuals, such as pansies, germinate in a few days, parsley (a biennial) in three weeks and some tree seeds can take months. 1. The seed may not be viable; either through a lack of formation or through death after trying to germinate once before. 2. The environmental conditions ie. water, temperature and light are not right. 3. The seed may be dormant (some seeds have chemical inhibitors that prevent germination during dry seasons). 4. The seed (depending on species) may need the hard outer coating (testa) to be breached ie. by either soaking in hot water or by chilling (stratification) or have the outer coating broken through mechanical or chemical abrasion (scarification). 5. Many seeds germinate well with no treatment at all. Stratification - some seeds need to endure a period of coldness. Treatment involves storing in refrigerator for a period before sowing. Hot water - this is another technique for cracking the seed coat. Seed is placed in a jar then water on the boil is poured in. The seeds are left in the water overnight to soak as the water cools. Soaking in cold water - soak for 24hrs. Scarification of the seed coat with sandpaper or acid (can be used at times by skilled propagators). Chemical Stimulants and/or temperature and light control can also be used to aid germination. Place seed in a jar/cup/container. Pour water which has been brought to the boil over the seed. Cover the seed generously. Sow the remaining seed.This often works well for some larger, drier seeds, hydrating them before sowing. (eg. sweet pea).